@theonewhoknows: Raven has evaded attacks from Wally west , and has teleported faster that wally. Has taken down the likes of Wally , Orion, Superman , Donna Troy , Starfire , and an angry Superboy. She's also already put zatanna and Wonder woman in stasis . It doesn't necessarily have to be a slow build. It could simply be a crouch and take off. You know, getting ready? At some point it leans into a person willfully ignoring evidence to get a result they want, when they keep arguing against demonstrable, obvious evidence. I have discussed examples where Diana has moved faster than opposing people or forces-more than once-that are incredibly fast themselves, and much faster than the Titan or X-man (Shattered God, Zoom, Barry Allen Flash, Amazo, etc.). In this scenario, Diana knows about Raven, would see her with a partner she knows nothing about, and being a seasoned warrior, would take no chances-there is no reason she wouldn't use her speed to the best of her abilities to take them out as quickly as possible---and the Amazon has multiple feats to show she has the speed to get to both of them before they could react the majority of the time. It doesn't matter if Diana "crouched", or sang Yankee Doodle Dandee---when one is skilled and fast enough to have feats like lassoing Zoom while sightless, you can get to opponents (Raven and Jean) who don't have 1/10 of that villain's speed the majority of the time. I do not like making accusations against people (I can't read their mind and/or hearts, after all). But-there comes a time where nit picking and bending all time and space to get out of conceding something in the face of evidence to the contrary becomes---well, let's just say, a little daunting. Well, that's a testament to power, BUT telepathy isn't all power. In fact, pure skill can often overrule power in telepathic battles in the Marvel Universe. How's about some feats of skill from said telepaths. Not to say Jean is weak, but she isn't all psychic strength. So, please feats of skill please. 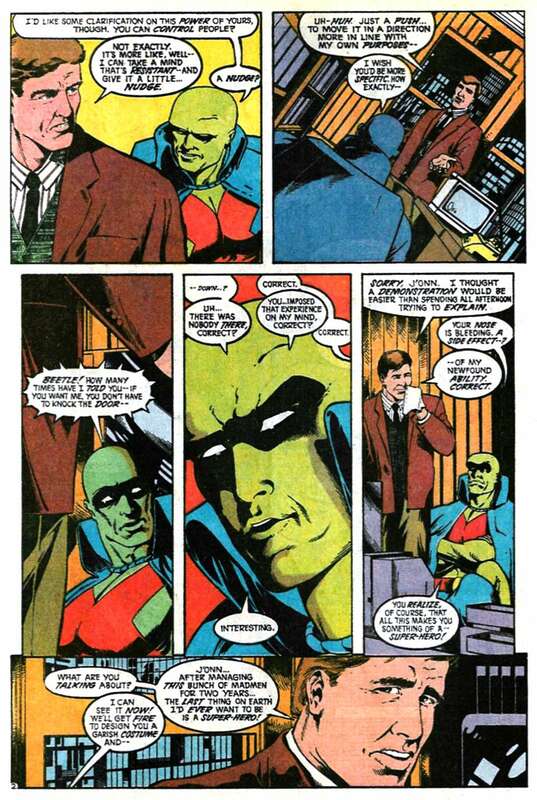 Planetary TP Max Lord-at a time when he was weaker in his TP abilities-was able to affect Martian Manhunter http://i.imgur.com/K2nkCoJ.jpg one of the most powerful telepaths around. He took over Superman a man who has resisted high tier mind control from powerful TP's like Eradicator, Dominus, Braniac, and on at least three occasions Martian Manhunter. And Max managed to make the world think Blue Beetle took himself out, when the truth is he slew Beetle himself https://imgur.com/a/WoACe Yet Diana utterly resisted Max with no problem. And I stated what unquantifiable TP Dr Psycho and Skyfather Ares can do telepathy wise above in post 59, and yet as noted Diana's resistance of Psycho was so complete she didn't realize he was attacking her, and Diana resisted hours of concentrated mind assaults from Ares. So it is simply not intellectually honest for anyone to claim Jean-for sure-would affect the Amazon, who has those resistance feats to her credit. I didn't see where it said she moved faster than thought. Where does it say it again? Telekinesis can be used in more ways than simply throwing someone around. Not to mention Diana was actively resisting the Black Hole, who's to say she will know when Jeans tk will activate? Is she suddenly a skilled telepath? (A) As I have demonstrated, Diana doesn't have to be a "skilled telepath" to get to Jean before she attempted TK, or any other attack against her (B) Besides "simply throwing someone around", I stated that the strength Diana has exhibited indicates that Jean can't hold her still, or take the Amazon apart due to her incredible durability, and (C) When Diana resisted a Black Hole while pulling Martian Manhunter out of it simultaneously she wasn't straining, or claiming it was taxing her to her limits to do this; I have seen no evidence that Jean has performed a feat of telekenesis equal to the force of a Black Hole with infinite horizons. Apparently, you "like" Jean better---that doesn't magically make it feasible that her TK is strong enough to stop Diana from KOing her. I never mentioned anything about mercy. If you are insinuating Jean won't kill (we both know Raven isn't above killing) you'd be wrong. Though Jean would avoid killing as much as possible, like any superhero, she is not above killing. Please show me where I said anything about Jean's willingness to take an opponent out. It is irrelevant whether she will or not; my point was to people who claim Diana would "hold back" her speed or striking force-for sure-against her opponents in this fight, when multiple incidents of Diana prove, if the threat is great enough, she will not hesitate to take things to a fatal conclusion. Don't mean to disrespect them, but with the lack of evidence for Starfire to have any psychic defense, the need for evidence for either of them to have a thought perception similar to Flash, and with Jean and Raven being the most powerful in their own universes in most cases, there is still compelling evidence that this battle isnt heavily in the psychics favor. Starfire doesn't have to have great psychic defense if she is fast enough to severely injure her opponents before they can strike first. Since Kori has kept pace with the Amazon in battle, it is entirely feasible the alien warrior can beat Raven and/or Jean to the punch and blast them to smithereens, meaning there is no "sure thing" about Kori being beaten, especially when another speedster, Diana is on her side in the battle. What evidence is there that the Phantom Zone portal is any stronger than a Black Hole, let alone telekinesis? The Superman feat sounds like her at her best. Not her in a casual confrontation. She knows Superman for what he is. She has no idea what Jean is capable of. Raven sure, but that gives more evidence for her to go for Raven before Jean. The feat against Superman is not an isolated incident. Diana has faced off against similar, or even arguably greater trauma-Superman and Captain Marvel level villain Captain Nazi, blood lusted Captain Marvel himself, sun amped (by the God Appollo) Kryptonians Zod and Faoura, the greatest Kryptonian Superman himself when he was blood lusted on another occasion, Wonder Woman issue 174 (so the feat against Kal in Wonder Woman issue 219 is not some kind off one off "fluke" that was Diana "at her best, not in a casual confrontation"), the God Achilles, Mongul and Kryptonian Non seperate and together, etc. etc. Where have I ignored anything? Each paragraph was an answer to the evidence you were presenting. Like I keep saying, there are circumstances and contexts to consider when looking at different feats. I do it with Jean to, as evidence by my admitting the splitting Xavier's consciousness feat was done with Cerebro. I very much realize the scenarios Jean would lose in because she lacks uncertain areas. I was really responding to another user's posts regarding ignoring things. But honestly, as I commented earlier, you have leaned dangerously close into that area yourself, seeming to imply, despite evidence to the contrary, that Diana and Starfire would jut be run over effortlessly. I will take your word for it when I see some of the skepticism I have above and in the last comment I put, put to rest. @theonewhoknows: I will also take the liberty to answer some of the things pointed at Totu. 1) And science agrees that one has to think before doing. And comic evidence shows that Superman (canonically faster than Wonder Woman) has to increase his perception speed to match that of the Flashes actively. You mention there was a scan that shows Diana is much like the Flash. Please show it again. 2) I still need to know the circumstances and rules the Eye of Athena works under. A little detail I asked for and have not gotten. 3) This one is probably valid. Don't know the circumstances. 4) You always mention the lasso of truth. What is the lasso of truth supposed to do against a psychic? As the story arc in JLA issues 61-65 displayed, the lasso is the focus of truth in the universe. It is able to restore people's lost memories, get rid of illusions, heal the holder's body namely Wonder Woman, cure insanity, and defy attempts to distort the true nature and desires of a person (which psychics attempt to do when they try to usurp another's will). No matter how powerful the TP is, as long as they are trying to unravel truth, the lasso's function is prevent it (other forces, such as magic, distorts the true nature of things, thus people who are in its circumference will be protected from magical attacks). There is also still the Starfire turning against Diana scenario to take into consideration. With Starfire giving Diana pause at one point, that gives more time for team 1 to wear Diana down, even if Diana manages to take down Starfire. By then, the girls will have the prep needed. A stomp? I don't know. But this is one scenario where Raven isn't exactly needed, aka Jean soloing, though keeping Eaven is probably a safer bet. Again, as Diana and Kori know about Raven, they would probably already begin the battle within the circumference of the lasso, protecting them from magic attacks---and in so doing the lasso would protect them from Jean's TP at the same time (they are both warriors and strategists, trained by some of the greatest warriors and strategists in the universe-Diana by the Amazons and blessed by some war bound Olympian Dieties, Princess Koriander by the Warlords Of Okarra-so respected for their prowess in this area that royalty the universe over send their kids to be trained by them). Diana and Kori are under no obligation to fight Raven and Jean in an ill advised, strategy free manner. Raven and Jean can win, no question. But evidence indicates Wonder Woman and Starfire irrefutably have a more than even shot of beating them too. @theonewhoknows: 1) It isn't ignoring evidence, it's the other way around. I have shown how perception speed works for ones like the Flash and Superman. For the Flash, they immediately can surpass Jean because they already perceive and register things faster than Jean could, whereas Superman needs to actively do it. That is what makes the difference in what she does. Where Wonder Woman fits is exactly what I am trying to figure out and you saying that I'm ignoring your evidence because I haven't been satisfied with some of the evidence of Diana already in motion, ergo giving her time to speed up (in however way her take off takes place). 2) I'm sorry if you find my skepticism to become tiring. I admit to being stubborn, but with the evidence I've presented, does that not make my skepticism valid? Both are faster than Wonder Woman in canon and I am trying to see where she fits because there is a difference in how thought perception works for super-speeders vs actual speedsters like the Flash. 3) If you don't wish to continue the conversation or present evidence, you can by all means stop responding. You made the claim, therefore you gather the info or I just don't take the claims as matters of truth. As for the scan in question, was she already in motion when she did this feat or was this reaction timing? I can't seem to find the Amazo feat in the thread. I will check again to see if it's here. 4) (A) I'm still trying to determine if this immediate or not, as you can already tell. (B) Ok, so Jean will fail to hold Diana and Diana will break out of it. There are still more uses for tk other than holding someone or molecular level tk the individual. (C) I didn't claim Jean to be able use her tk as strong as a Black Hole. I was making a perception of how a feat that you described in detail would seem. It would be easier to dissect if I saw the scan rather than take your word, but I am giving you the benefit of not exaggerating. If you can't simply answer my counters without resorting to calling me a fanboy, how does that make you look? I have doubt, it's normal, which is why I am questioning and still conversations with you rather than going "Whatever, Jean solos so hard." Not to mention that it is rude to begin with it. Though I don't like retaliation whether valid or not, what have I done exactly to deserve such treatment? 5) Then please mention "for those who think otherwise" or "before anyone tries to go on this argument" so that I don't take it as an answer to what I have said. (A) Not only are we still discussing where Diana fits in the speed category, but there was no evidence showing that any other Amazon is like Diana in the speed facet, nor have we gone on if Koriandr is the same way as the Flash either. Yes, I am sure being the same species as an Amazon should give some similarity, but Diana is a demigoddess, or a living clay statue depending on the version we are talking about. That makes her unique, does it not? (B) I classify Heroes with super-speed as different from speedsters. The reason being that speedsters actually do think at a faster pace and draw their speed from the speed force, whereas Heroes with super-speed are all-natural in their speed. The thought process thing might be unique to certain super-speeders, so I won't say that all super-speeders need to build their thought perception like Superman. Therefore, I am not grouping either Diana or Koriandr in the speedster category. 7) It isn't knee-jerk. It is a fair question and it is entirely possible that I could miss a detail or two. Am I supposed to be perfect in analyzing in order to be allowed to ask a question? With that said, fair enough. I've still yet to see the Black Hole thing, but I will just take your word for this one. 8) The argument isn't on whether she can reach those levels of power in every confrontation, it is whether she would. No, I don't think she will simply hold back, but I don't see why she we would be so hasty on an opponent she has never met or know about. Nor does she know whether she needs to go all out or not. She could have the perception that this will be totally easy and that she can just waltz over and take her down without trying. I don't know Dianas personality when facing opponents she has never met and don't look all that threatening, ergo my questioning this. We are trying to find the most likely outcome to happen. 9) Now I understand. I hope you understand that the comment was tagged to me, and with no mention of anyone else in the statement, vague or specific, than I figured you were talking to me. I don't see it that way in the least, considering I am looking for context, which is amounting to look at the feat in detail, not disregarding its validity until the end of the analysis of it called for it. 10) I will have to see this feat. Hopefully it is in this thread. 11) Interesting. So mindrape isn't in the question arguably. What if telepathic bolts? Because they aren't the same as manipulating someone's mind. 12) Noted. So no illusions or mind control. 13) Fair enough in a direct approach. They will have to get crafty, this is getting more and more interesting. ...which brings us back to you @pyrofn You are responding to "apples" statements with "oranges" replies in many cases. Whether Diana arrives at her speed and perception the way Flash and Superman do is irrelevant to the question at hand: does Diana have the speed to get to Raven and/or Jean before they can mount an offense to impact Wonder Woman first. The feats I've shown, with more on standby, indicates the answer to that question is yes. Who cares about the superfluous details---all that matters is Diana clearly has the capacity to reach the opposing duo before they can react. I showed in my last post a scan of Diana moving faster than thought. I have described the Amazon roping an opponent who had a futuristic advanced supercomputer brain (ordinary computers can process things faster than thought) and the combined speed of Supes and Diana before it could complete it's thought/threat/sentence. Then, once again, there is the Shattered God feat when she Deflects multiple parts of the Shattered God. These parts crossed all corners of the known universe in a short period of time from Oa to Earth and back again. This adversary was capable of obliterating and/or creating universes when this being fully assembled. No matter how much one were to lowball how fast the parts moved, there's also trillions upon trillions of particles (TRILLIONS with a T) and she held fast against the assault, not ever being so much as scratched. To still argue that there is doubt whether Wonder Woman can get to those two before they can react-in at least half the incidents the teams faced one another-defies logic and intellectual honesty. There is "skepticism", in my view, then there is stubborness. Note that in the reverse, I didn't question-from my very first post-whether Raven or Jean could get to Diana or Kori and win, because evidence demonstrates this. I'll say it again:The whole point of characters having such speed is that they are faster than others who don't have it. So what's the point of them having it if this can just be ignored, and it claimed others who DON'T have such speed can out react them anyway? For a wide majority, at that? I tend to have a low tolerance level for, shall we say, unwarranted "skepticism". Again, note in the reverse the way I acknowledged how powerful the Raven/Jean duo is from the beginning, and-if written properly with due respect given to everyone's powers and abilities, I would have no problem reading a story where Diana and Kori lose. But I can not sanction the insinuation that Diana and Kori don't have an equal shot at winning, or even worse that they would get "stomped" in the process. The facts, as I have layed them out in my estimation, simply don't support that. To give you an idea of how I roll, I think, for instance, that Captain America can defeat Batman. But when a user tried to chime in that Cap could "stomp" Wayne, "easily", I actually vehemently argued against that (even though I can't stand all the "Bat God" crap) because due to The Dark Knight's combat acumen and gear, I felt it would be a grueling affair. Again, even though I "like"the Rogers character waaaay more than Wayne. By the same token, though I "like" the Diana/Kori team better, facts and figures make it impossible for me to state they could take Raven and Jean for a huuuuge majority; those same facts and figures make it just as impossible to say they "crush" the DC/Marvel duo. To roll to some conclusions, Diana has used her speed right away many times even on foes she didn't know well right off (I'm too tired to look for and round up all the scans to show that right now, maybe later)---and in a situation where she sees Jean with an opponent, Raven, that she knows is really formidable, the notion that a seasoned warrior like her would foolishly underestimate and ignore Jean especially in this context is wishful thinking. Telepathic bolt might affect Wonder Woman, possibly-but I've seen her take so much physical punishment over the years (Silver Swan's excrutciating sonic screams, Kal's point blank heat vision, Darkseid and Desaad's torture machines, etc.) fight through the pain and keep coming that I honestly don't know. Don't mean to come off too harsh, if that occurred. Too much time dealing with users who willfully ignore evidence past all sanity one too many times, I guess. I say again-Jean is very powerful (and Raven, especially when provoked has pulled off some truly next level, scary a$$ bleep)! so as I have said, I have no problem with the notion she and the red head can win; Wonder Woman and Starfire have to be pretty flawless in their approach (something these incredibly skilled warriors are capable of being). Ah, I don't like to think about it. It depresses me. @theonewhoknows: I care about the details because it is an important detail. It is known that if Wonder Woman was already flying, she is much faster than the eye can perceive, can react. This doesn't help with the take off because action takes thought. Jeans power activates at a thought where Wonder Woman differs, in which she must think and do. Going without targeting or thinking is not something becoming of a warrior unless she is defending on reaction. Lets go into the Flash vs Jean in comparison to the Superman came Jean debate. Flash is confirmed to always be thinking fast paced than how normal humans usually think and perceive, ergo he would be able to think and move before Jean can react because he thinks faster than she and will already be in motion by he time she starts to create a thought. Superman on the otherhand does not perceive this way, therefore he is not gonna think any faster off the bat than any other normal human without actively speed his thought process up. With him having to take such action, that means Jeans power will have already activated before he can do, which is seen in the non-canon confrontation between her and Superman. Yes, it's non-canon, but with the evidence presented, how much more different would it be in such a fight. It's this difference that is integral in who attacks first, the very thing this argument rides on. If Wonder Woman blitzes, she will have shields up before she reaches Jean. She will already working on Diana's mind, discovering how unbreakable it is and go for a mental bolt. The thought process is the deal breaker, that is what is so important. Understand now? I admitted to stubbornness on multiple occasions because my skepticism has not been put rest. We are having a discussion on a particular scenario, where we are addressing something that could turn the tide of the battle so easily. Small, but ever important to change. And this is my rebuttal, super-speed doesn't work the same way across the board as you have been making out to be. The whole point of the Superman scan is to show how it works from the start. We know how fast Wonder Woman can go, but you can't ignore every step of the process. It would be like ignoring the process of how to bake a cake. You would be focusing on the temperature of the oven, ignoring the fact that it has to warm up to get to that temperature. Wonder Woman has to think, then move, and all Jean has to think. If Wonder Woman is already moving, then yes she makes it to Jean before Jean can react, but that is not what's going on. Diana doesn't have a head start, therefore we got to look into the lift-off since we are comparing in who can beat the other to the punch. Jeans power is instant, no need for warming up, starting up, its instant. Wonder Woman doesn't have that luxury, therefore, we have to measure her thought process and action timing. I'm no longer saying Jean solos, please stop referring to that. I understand and see what you mean, after teaching about how the lasso works on more than just Wonder Woman. I can understand that comparison and agree. I would do the same. Alright, that may be what is needed, depending on how the opponents powers work. If it is thought based like Jeans, then it might be what is needed. You don't have to get it now, I can wait. Also fair enough on the analysis of the underestimating Jean to be unlikely. Interesting case. While the physical aspects are unlike psionics, the lasting through the pain aspect could be important. And the more I learn about Diana, the better I can see just how she works. It helps me have more of a love for the character as well, learning about all the cool things that she has done in her lifetime, in contrast to what people stereotype her as, a simple female Superman. Similar case to Jean, except I have always loved her. I highly doubt they would screw up in a battle. The battle is so close that it comes down to the bear bones, little details that would turn the tide of the battle so drastically. Whatever edge they can get can reap great advantages. Being a Jean fan, I'm always depressed because she is always dead. Look at now, she is barely being resurrected this December after 11-13 years of being death, after people saying that it wouldn't take any longer than two years for Jean to be dead. 1 We can only go by statistical probability and statistics-and Diana's many, many speed feats combined with her unparalleled combat skills-say that more likely and more often than not, Wonder Woman would reach Raven before she could move. An unsuspecting, taken by surprise Raven, this is quite possible. An aware Raven, I kinda doubt that. She dodged from an arm lenght distance the strikes of someone who should be around as fast as WW I believe. On top of that she have some precognition and she already know what WW is capable of. Its not just about TP resistance (and Raven have enough raw power and skills of TP/empathy to easily put down Dr Psycho for example, or control an entire universe of souls and thoughts). Its also the fact that Raven had no problem mind reading and subtly influencing Wally, who is supposedly thinking incredible fast even in his normal thinking process. So fast that Superman needed to increase his thoughts speed to match him. This, combined with Raven precog might offer her enough time to read what is coming from WW and Starfire, and avoid the danger (possible even to attack first). Diana wasn't taken by surprise, there was a fight going on there, and she also knew from Zatanna that Raven is "evil". Its just that she didn't had any counter to Raven time manipulation and control, and to her more mystical powers. I agree Diana might have not been up and ready there however, as she was just KOed not long before by Kori and she might not have been fully recovered (she was fully aware by that time however). Still doesn't change the fact she have no counter to those Raven powers, or Raven soul control abilities. After all Raven did take over her soul (willingly this time) when WW was an actual goddess, and she also manipulated Darkseid soul in the same time, while she was simultaneously absorbing and channeling all the Amazons energies. I know Jean and partner possibly win-but no way a "stomp"---glad you agree. Yes, I said that all the time since the begining, its not a stomp and Diana and Kori have their chances. They just need to act from the begining as fast and strong as possible and hope Raven won't be too serious from the start. I agree that they can KO Jean (especially) and even Raven too (more harder to do however, she can be incredibly resilient, maybe for some surprise but she is the daughter of Trigon after all and half of her is coming from him) if they go all out and surprise them somehow. Claiming-for sure-that Raven can out react a woman with the combat speed feats I have chronicled is simply willfully ignoring evidence. And Wonder Woman "knows what Raven is capable of" as well. As I stated in post 102, "Again, as Diana and Kori know about Raven, they would probably already begin the battle within the circumference of the lasso, protecting them from magic attacks---and in so doing the lasso would protect them from Jean's TP at the same time (they are both warriors and strategists, trained by some of the greatest warriors and strategists in the universe-Diana by the Amazons and blessed by some war bound Olympian Dieties, Princess Koriander by the Warlords Of Okarra-so respected for their prowess in this area that royalty the universe over send their kids to be trained by them). Diana and Kori are under no obligation to fight Raven and Jean in an ill advised, strategy free manner". And Wonder Woman resisted Dr Psycho, "for example", a TP so powerful he deals with even alternate timelines and realities, so completely that she wasn't even aware he was attacking her. And Wally's thinking, even though it is faster than most normally, can still be overwhelmed by powerful enough TP if he is caught unawares (again, he doesn't have natural, total immunity)---he has to have forewarning so he can speed up his thinking to a level where he in unaffected. I doubt she is faster than Zoom, who Diana lassoed while sightless, or Amazo, who not only had a supercomputer brain that processes things faaaar faster than humanoid thought, but had the combined speed of Superman and Wonder Woman---and yet Diana's unfathomable muscle memory reflexes allowed her to rope the creature before it could move/complete it's thought/threat/sentence. If Diana can perform feats like that, it is simply not intellectually honest to claim Raven has to be "taken by surprise" for Diana to get to her before she can react. No one has denied what Raven is capable of. The problem is you appear to be denying what Diana can do to Raven; the point is, by feats, the Amazon is just as capable of defeating HER, as well. Because Raven did something once doesn't mean she could do it again, every time. Otherwise, Hulk and Iron Man wouldn't have come back to beat Namor after he defeated each of them in earlier battles. Or, in real life The Cleveland Cavaliers wouldn't have come back from being beaten one year to beating the Golden State Warriors for the NBA title the next year. Diana has had some clear upgrades in the time since those incidents with Raven. More or less true. That's why I previously said: "I say again-Jean is very powerful (and Raven, especially when provoked has pulled off some truly next level, scary a$$ bleep)! so as I have said, I have no problem with the notion she and the red head can win; Wonder Woman and Starfire have to be pretty flawless in their approach (something these incredibly skilled warriors are capable of being). Ah, I don't like to think about it. It depresses me". True enough (although, the lasso controls/regulates/souls as well as minds, so if not destroy, the power of the lasso most likely can subdue Raven's soul if necessary) . @pyrofn: I think more or less, we have reached an agreement. @theonewhoknows: Okey-donkey. Then I shall now lay down in exhaustion because that was more info than my brain wanted to process. Edit: What the- Ok, I'm not gonna edit that because that is just- why, autocorrect? I said I kinda doubt it, not that is "for sure". You need to consider that Raven did dodged a bloodlusted Superboy strikes from an arms lenght distance, and did it quite easy, basically dancing around him. And he should have been about as fast as his dad, Superman. She can be also faster than Wally can run, have instantaneous teleportation and on top of that have some precognition too (something that the ones you mentioned doesn't). So even if Diana can hit her in some circumstances is far from saying she will surely be able to touch her. About Wally thinking, I was saying mostly that Raven can think at least as fast if she was able to mind reading and influence him. Which probably make her fast enough to read WW intentions too before she act. What makes you think the fire of Hestia or the lasso is more powerful than Raven magic or soul self? I mean, she had taken down Rhea, someone arguably more powerful, and Diana lasso didn't helped her at all against Raven or Trigon in the past. Raven had absorbed the energies of all Amazons and their gods and creators, contained as well Darkseid and Diana (as goddess of truth, no less) in her soul self, transfered those energies into Darkseid while also slicing a part of Diana soul and fuse it in Darkseid own soul, "infecting" him without he even realize whats going on. Because Raven did something once doesn't mean she could do it again, every time. What should be different now? Isn't the same lasso, it gets some boost of abilities since then? This is something I doubt again, considering the above feats I mentioned. Raven bypassed or surpassed the power of the lasso in the past and she easily proved more powerful than the mother of Olympus gods and goddesses, and Diana had that lasso from one of them if I am correct? Diana was fighting "at arms length distance" with all the people I mentioned (in the case of Wonder Woman simultaneously holding off Zod and Fauora, that is two individuals, morals off, not holding back their speed, who are military combat skilled Kryptonians). That is superior to outpacing one person, Superboy. Diana's incredible Shattered God feat when she Deflects multiple parts of the Shattered God where these parts crossed all corners of the known universe in a short period of time from Oa to Earth and back again (and this adversary was capable of obliterating and/or creating universes when this being fully assembled) no matter how much one were to lowball how fast the parts moved, there's also trillions upon trillions of particles (TRILLIONS with a T) and she held fast against the assault, not ever being so much as scratched---that is far superior to the Superboy incident. Superman has been shown out pacing teleportation against Red Hood And The Outsiders (and he did it effortlessly) so characters like Zoom and Amazo are definitely faster as well---and yet Diana out paced them (in Zoom's case, I must remind you, she had the speed and skill to do so while she was sightless). Totu, you have proved to be an excellent analyzer in other threads---I really wish you would stop willfully ignoring evidence to get a result you want, when I know you know better. That "good for her" condescending remark right there vividly displays how you appear determined to lowball, if not outright dismiss Diana's feats. Diana not even being aware the unquantifiable TP was attacking her is "stomping" him just as much. The Amazon, from behind, chased, caught up to, and pulled Jesse Quick out of The Speed Force (according to Wally West Flash, one has to be at least FTL or better to enter this "dimension"). Diana's stellar TP resistance indicates that if Raven did manage to affect the Amazon that way, it would take the witch longer to do so than against Wally, who again, does NOT have natural TP resistance (and therefore, in the time it took Raven to overwhelm Diana-if she even could-the Amazon, due to her speed, would have gotten to Raven, first). In order for you to legitimately "doubt" whether Raven couldn't out react Diana (and even imply Raven could do so "7 out of 10 times"), you would have to have named feats that waaaay outshone her---and as I have at least matched-really, surpassed-everything you have presented, you objectively have not done so. The lasso has-effortlessly-defied the power of the likes of Cosmic Elder The Universe The Grandmaster, God tier sorceress Circe (judged so powerful she led an uprising of multiple pantheons of the Gods) Nekron (anyone who has read "The Blackest Night" mini series knows how powerful he is) and Skyfather God Ares in his own realm where he is supreme-after the death of Hades, and he took over from him, Ares became a double Skyfather God, God Of The Dead as well as The God Of War. Chances are just as likely the lasso will protect her against Raven-at the very least, protecting Wonder Woman long enough for the Amazon to get to the Titan. In light of evidence, that is highly debatable-certainly the victory margin you give Raven. I gave the reason what is different in my last post; read it again. The just partial list I presented of the powerful beings the lasso dealt with makes it clear at the very least, Raven will not instantly bypass the power of the lasso. And due to the evidence I have displayed, a "7 out of 10 or so" victory margin for Raven and Jean is simply, objectively too high. To assert such a thing, one has to outrageously lowball and dilute Wonder Woman and Starfire's powers and abilities---something which I feel you have done. I have repeatedly stated that I would have no problem with the DC/Marvel team winning. But, due to the combat speed, combat skills, and weapons that the Wonder Woman/Starfire team have, the "7 out of 10 or so" margin of victory you give their opponents is just not tenable. Totu, you have proved to be an excellent analyzer in other threads---I really wish you would stop willfully ignoring evidence to get a result you want, when I know you know better. Diana was fighting "at arms length distance" with all the people I mentioned (in the case of Wonder Woman simultaneously holding off Zod and Fauora, that is two individuals, morals off, not holding back their speed, who are military combat skilled Kryptonians). That is superior to outpacing one person, Superboy. Diana's incredible Shattered God feat when she Deflects multiple parts of the Shattered God where these parts crossed all corners of the known universe in a short period of time from Oa to Earth and back again (and this adversary was capable of obliterating and/or creating universes when this being fully assembled) no matter how much one were to lowball how fast the parts moved, there's also trillions upon trillions of particles (TRILLIONS with a T) and she held fast against the assault, not ever being so much as scratched---that is far superior to the Superboy incident. Superman has been shown out pacing teleportation against Red Hood And The Outsiders (and he did it effortlessly) so characters like Zoom and Amazo are definitely faster as well---and yet Diana out paced them (in Zoom's case, I must remind you, she had the speed and skill to do so while she was sightless). What you forgot is that Raven also have some precognition, something that none of the characters mentioned by you have, and that alone can give her an advantage. And while I agree Diana feat like fighting both Zod and Faora is superior to Raven vs just Superboy, I still don't think that is enough to say WW will surely hit her from the very start since we can't be sure how Raven would have fare against two such opponents. Especially as Raven was basically toying with Superboy, who couldn't even touched her. That wasn't really a fight for her, she was just teleporting around him while talking him down, wasn't seriously trying to actually put him down, just to use him for her own future purposes. Catching Zoom while blind is another great feat, I agree, but that looks to me that happened after a moment of concentration and when Zoom wasn't directly attacking her? And then Raven move by teleportation not by running, and she can do that instantaneously (and faster than Wally can run). That "good for her" condescending remark right there vividly displays how you appear determined to lowball, if not outright dismiss Diana's feats. 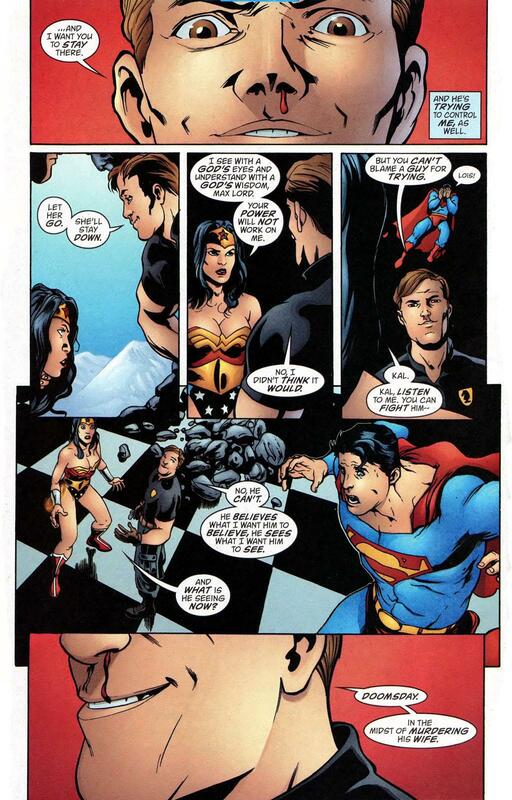 Diana not even being aware the unquantifiable TP was attacking her is "stomping" him just as much. The Amazon, from behind, chased, caught up to, and pulled Jesse Quick out of The Speed Force (according to Wally West Flash, one has to be at least FTL or better to enter this "dimension"). I am not try to lowball her as its an incredible TP resisting feat (even Manchester Black had fall to dr Psycho mind tricks), however their feats are not quite the same. Resisting to Psycho tp is one thing, utterly stomping him in tp/reality manipulation is another, obviously superior thing. I hope you agree with this. Diana's stellar TP resistance indicates that if Raven did manage to affect the Amazon that way, it would take the witch longer to do so than against Wally, who again, does NOT have natural TP resistance (and therefore, in the time it took Raven to overwhelm Diana-if she even could-the Amazon, due to her speed, would have gotten to Raven, first). In order for you to legitimately "doubt" whether Raven couldn't out react Diana (and even imply Raven could do so "7 out of 10 times"), you would have to have named feats that waaaay outshone her---and as I have at least matched-really, surpassed-everything you have presented, you objectively have not done so. Well, Raven and WW did have couple clashes afaik (but I am not all knoweldgeable, ofcourse). In first one Raven easily dispatched Diana alongside her JL team (that included Zatanna, Hal Jordan etc) using her time manipulation and control powers before any of them could react in some way. The second one was less violent but implied Diana lasso, which proved powerless in front of Raven capabilities. Raven simply snatched Donna Troy (who was tied with the lasso), going through the lasso with her soul self and teleported her out of it. By these alone its weight more in the direction that Raven is able to surpass or overcome the lasso, and even without much struggle. I remember as well you posted some excellent scans of Superman resisting to various magical attacks, from Lady Blaze in her own hell realm to incredible powerful magical items (some staff, forgot now its name and wielder, Gog I think?). Yet same Superman was completely powerless against Raven magical powers, he barrely escaped alive by convincing her good side (that was a slightly evil Raven but not the bad, demonic one) to take back full control and release him, but he was visibly scared and relieved when all ended. Raven use same magic and mystic powers as her father, Trigon, who did stomped everyone on main DC realm, including some as Dr Fate. So I say that Diana lasso is very probably not enough to resist Raven magic. You can consider also that Raven did take out a bloodlusted, battle ready Orion equipped in his full battle gear. She also absorbed and contained WW (as goddess of truth) and Darkseid (including their souls) and all the Amazon energies (powered by their pantheons of gods/goddesses and creators). There is also the fact that her soul self resisted way better than Spectre to Zauriel holy sword. So again, chances are that WW lasso won't be able to do much against her. I think we might see differently some feats and abilities, objectively or subjectively. The only chance I see for Kori and Diana is to try KO Raven (killing her will be much worse for them as her soul will be around with same powers and they have nothing against that) and Jean. And Kori may have a better shot with her starbolts as she may fire them before even move to close the distance and they are supposedly ftl. If Diana try to use her lasso, I don't think that will work on Raven (probably will on Jean). KO her with a strike (punch, starbolt) will be the best way to go, but even that is not 100% certain since Raven did resisted without to be KOed to Trigon lightnings, Cassie direct punch strike (kinda sucker punch however, and Raven was KD but not KO, but she was also keeping herself in check to get along with the Titans where she just returned and since she was still secretly working with Trigon) or her brother hits, she have some precognition, instantaneous teleportation, reactions significantly faster than a bloodlusted Superboy from the future and already know her opponents and what they can do. She might be KOed, ofcourse, but is not something 100% sure, and she have the means to end the fight in her favor in various ways (plus Jean can at least affect Kori) so thats why I said they have maybe 7 out of 10 chances for victory, or anyway, the first chance, or at least a slightly majority of chances. But if you disagree, thats OK. The precognition "advantage" is only useful 100% of the time, or even for a wide majority, against foes who don't have Diana's combat speed and skills that easily compensate. 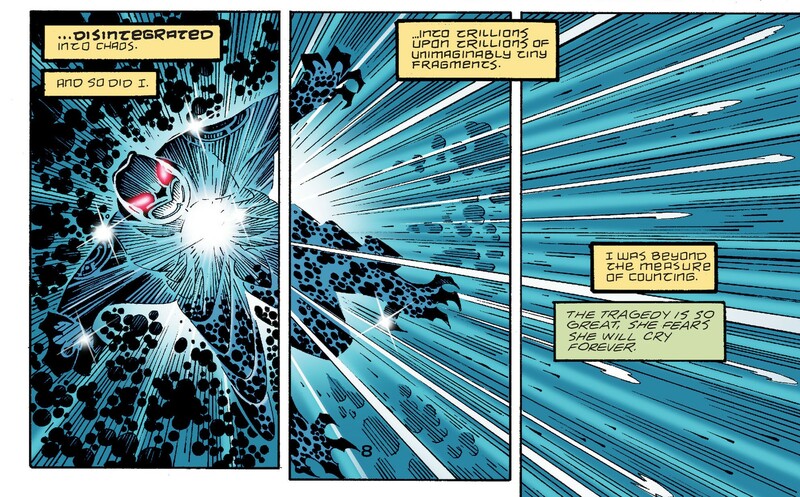 The Shattered God feat-read its description again-is waaaaaay superior to the Superboy incident, and denotes a muscle memory, act without thinking, combat speed and skill great enough to show, on the contrary that more likely than not, Diana would reach Raven first. Diana uses super speed in battle more often than Raven, so by law of averages, Diana will prevail most often. For reasons just explained, it is more likely that Diana gets to Raven first. Diana has resisted top tier TP and reality manipulation, being unaffected by it while others succumbed to it here https://imgur.com/a/DgI9B as well as against uber powerful reality warper Queen Of Fables https://imgur.com/a/ePyFQ Raven just hasn't displayed sooooooo huge an advantage to show she can stop the Amazon instantly enough to stop her momentum from reaching her "7 out of 10 times". Exactly, "no clear advantage" enough for it to be claimed Raven wins "7 out of 10 times or so"; you would have to demonstrate a huuuuge advantage for you to claim Raven could out react Wonder Woman "7 out of 10 times or so". Wally thinking fast doesn't protect him from a powerful enough TP, he has to speed up his thoughts even more-after being forewarned-to resist that. Even Trigon doesn't use pure combat speed the way Diana does. Once again, though that was an undeniably impressive feat, none of the League in that first encounter knew what they were dealing with; in other incidents, Hal Jordan Green Lantern, Zatanna, and Wonder Woman have all resisted those type of assaults. It is possible to remove someone from the lasso that way before Diana makes a command especially in a third party situation; if the lasso is placed directly on Raven (and she doesn't attack Diana before the lasso has firmly bound her) then the result will be the same as when the lasso was placed on Captain Marvel and Superman when they were blood lusted, planetary TP Max Lord, uber powerful reality warper Queen Of Fables, God tier sorceress Circe, Cosmic Elder Of The Universe The Grandmaster, double Skyfather God Ares in his own realm where he is supreme, and countless others: Raven subdued. Once the Titan is bound, Diana can also-as she did to Silver Swan, Max Lord, Queen Of Fables, Ares, and countless others-command Raven to tell the truth on how to defeat her---and act accordingly. Yet same Superman was completely powerless against Raven magical powers, he barrely escaped alive by convincing her good side (that was a slightly evil Raven but not the bad, demonic one) to take back full control and release him, but he twas visibly scared and relieved when all ended. 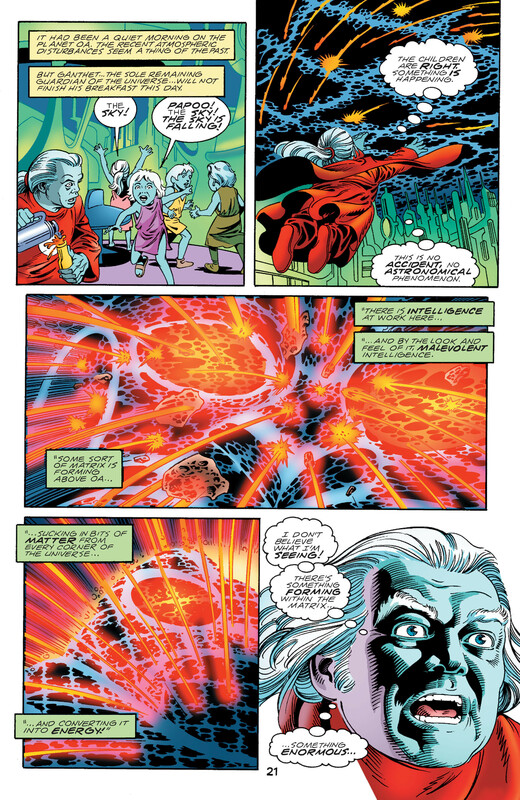 Superman, like most characters who are not virtual omnipotents, does not have total immunity from magic, so it is not surprising that there are occasions when he succumbs to it (as you acknowledge, there have been multiple occasions when his powers allowed him to resist mega powerful mystic attacks). 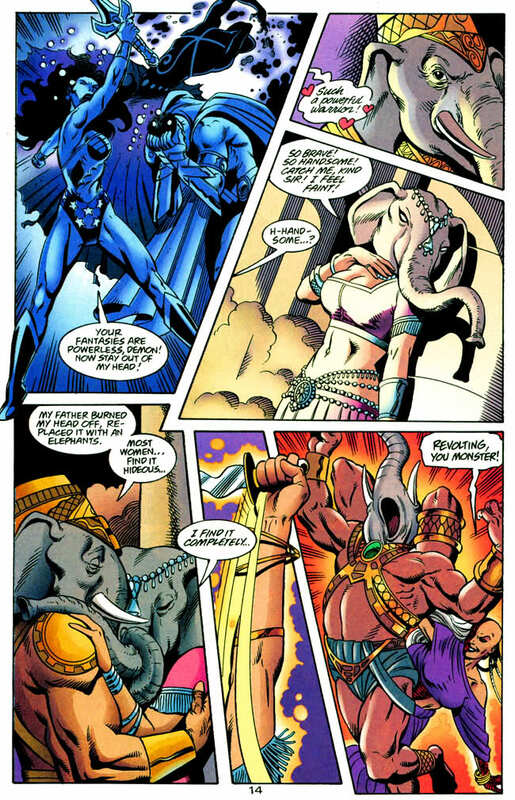 But 5 of the Gods that have blessed Diana with their powers have granted the Amazon high resistance to magical attacks; the lasso gives more; and Raven, who's body has proven susceptible to physical attacks is susceptible to a super speed blow to her face to KO her---as powerful as she is, her physical body is not more durable than opponents Diana has greatly affected. If Wonder Woman can , when Batman was imbued with Superman's power, and had just taken a sun dip, do this to him https://imgur.com/a/N3P3M -as the scan displays, she punched the equivalent of a sun amped Superman from just outside the Earth's orbit to the moon with a single punch, then the Amazon can do far worse to Raven's body. Raven's resume is well known to me, which is why I have repeatedly stated that I would have NO PROBLEM with the DC/Marvel team winning. But, due to the combat speed, combat skills, and weapons that the Wonder Woman/Starfire team have, the "7 out of 10 or so" margin of victory you give their opponents is just not tenable---if the Amazon/alien duo get to team DC/Marvel before they can react and implement all the wonderful things you describe, it won't matter what they can do. I already dealt with the "teleportation", "precognition", and "Superboy blood lusted" issues in a prior paragraph. And I appreciate you taking the "they stomp" claim out of the equation. P.S. Thanks so much for the civilized conversation. I can admit there is no clear speed or reactions advantage between them, which will make impossible to say who will reach first the other. And I admit this despite Raven precog, easily dodging Superman like fast strikes, her instant teleportation or mind connection with Flash running in speed force, and time manipulation and powers capable to reach and pull out of Speed Force both Flashes and Deathstroke in the same time, while they were all running around there ftl (she did had a little help there, agree, but still the feat demonstrate her mind and powers level of speed and abilities). Diana resisted at some point to some top tier TP that Raven outright stomped (see dr Psycho), so its hard to say she will surely resist to Raven, considering that she couldn't resist in the past and Raven feat is more than obviously superior. From what I see Diana resisted to that time manipulation without even know whats happening, she ask Clea whats going on, and she resisted unconsciously in some way. You can say it was pretty much the same when Raven had put her in time stasis, Diana didn't know whats happening, yet she couldn't resist, conscious or unconscious in any way back then, she had fall like the rest. Its not about TP protection, is about Raven being able to mind read him just as fast as his mind proccessing thoughts at those speeds. Not to mention she did mind read him even when he was running (and presumably thinking) at well ftl speeds, in Speed Force. And Raven have instant teleportation as well, Saying that she can't think and react about as fast as Diana is just not logical. That she doesn't do that all the time is true, but neither she have too, its just that such ability is there and she can use it when really need it. Same League had fall even worse against Trigon, who was using pretty much same type of powers (admitedly, on a much larger scale and level than regular Raven). She resisted better than Spectre to Zauriel holy sword, she was controlling an entire universe of souls, she had contained goddess Diana , Darkseid and all the energies of all Amazons and their gods from whatever pantheons, manipulating them and manipulating even Diana and Darkseid very souls. She just as easily had put to sleep a battle ready and bloodlusted Orion and Rhea, the titaness mother of Olympus gods and goddesses (arguably more powerful than Diana, obviously). I am not saying is impossible but is not quite supported by facts, considering what I mentioned above and the fact that Raven bypassed or surpassed Diana will and her lasso power. But 5 of the Gods that have blessed Diana with their powers have granted the Amazon high resistance to magical attacks; the lasso gives more; and Raven, who's body has proven susceptible to physical attacks is susceptible to a super speed blow to her face to KO her---as powerful as she is, her physical body is not more durable than opponents Diana has greatly affected. If Wonder Woman can , when Batman was imbued with Superman's power, and had just taken a sun dip, do this to him https://imgur.com/a/N3P3M -as the scan displays, she punched the equivalent of a sun amped Superman from just outside the Earth's orbit to the moon with a single punch, then the Amazon can do far worse to Raven's body. Well, I did said that Diana and Kori best chance is to KO Raven, and they both can do that. Its just that they need to reach her to hit her that hard before she can attack them or dodge their strikes, which is really hard to say. Then sure, Diana may have very good magical and TP resistance and her lasso can help alot yet she never proved that is enough in those couple encounters against Raven (not to mention Trigon). She was put down with no problem, or Raven had just ignored lasso powers or abilities. Its indeed hard to say who can reach who first. I agree that Jean might fall first if they (either Diana or Kori) go from the start full speed and no holds back and strike her but is a bit tricky for Raven who is more versatile as powers set (is capable to take them down in various ways) and demonstrated few times that she can have similar reaction speeds. Well, I can say a slightly majority then hehe, if that sounds more reasonable. Especially as Raven probably won't go really hard from the start and can be surprised as such. I doubt she will go right away full out against Kori for example but probably she might will against Diana as they don't have much of a connection. @totu: Plus Starfire is a nonfactor here. Raven has taken Starfire/donna out on many occasions bloodlusted, regular, and in white form. WW Is suppose to be resistant to telepathy, but Jean has bypassed people with immunity like Emma frost, sue storm etc.